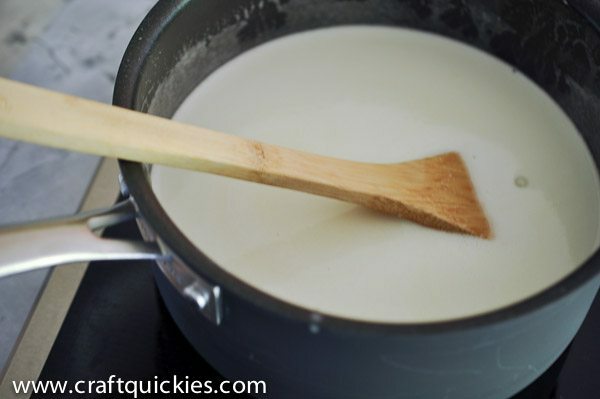 This buttermilk syrup recipe is incredibly simple and sinfully delicious. 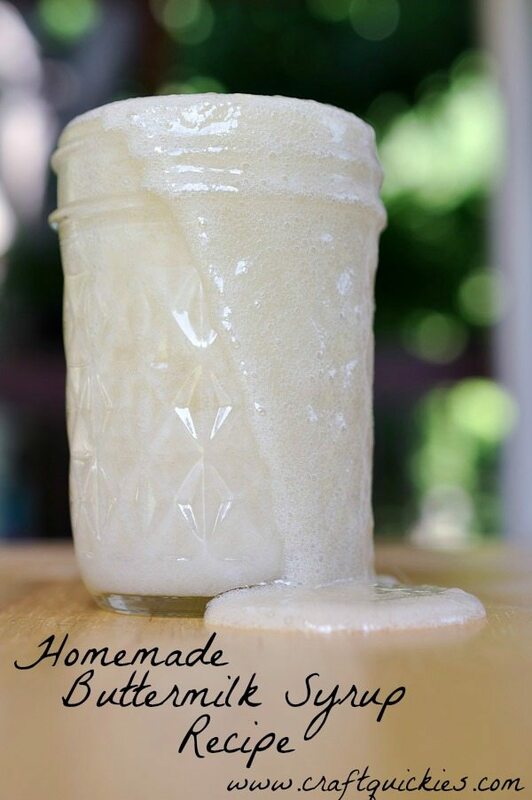 You will never be able to go back to store bought syrups after making it! When I posted my S’mores Pancakes recipe as last Saturday’s installment into the S’mores Saturdays series I promised to share with you our simple and divine recipe for homemade buttermilk syrup. It is a copycat version of the buttermilk syrup at a restaurant in Provo, Utah called Magelby’s Fresh. They have an all you can eat brunch there that is to die for. Pancakes or CRAZY thick slices of french toast, all drenched with frothy buttermilk syrup, and all all-you-can-eat. Let’s just say I gorged myself there a few times in college. Mmmmm….. Here is the buttermilk syrup recipe that we use, as promised. 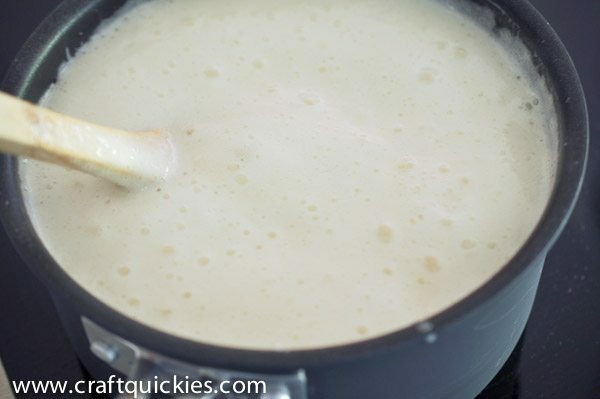 Start by placing 1 cup sugar, 1 cup buttermilk, and 1 stick (1/2 cup) butter into a saucepan. 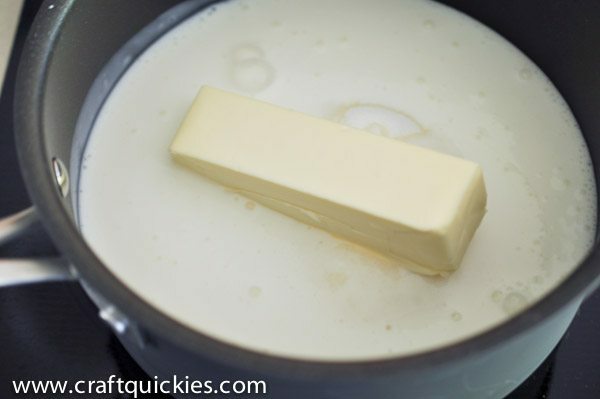 Heat over medium to medium-high heat until the butter is melted and bubbles begin to form on the edges of the pan. (Just before it comes to a boil.) Now add 1 Tablespoon of vanilla and 1/2 teaspoon of baking soda to the pan and stir. 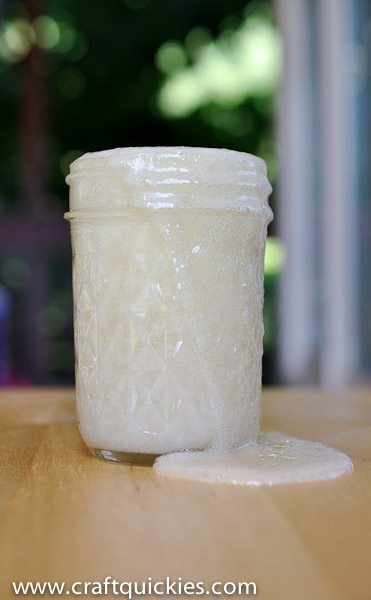 It will bubble up and be frothy, as shown below. « Welcome to Watermelon Week!! Does your recipe not just 1tsp karo? I must have a different one! That’s Sally’s recipe. Also yum! check yr recipe it should be BAKING SODA., not bking powder. pls which one? SODA!!!! Oh my goodness!! I can’t believe I did that!! Thank you for pointing out the error!! I have fixed it. I am just curious if you might know how long it will last in the fridge?